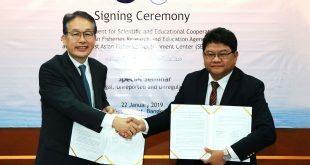 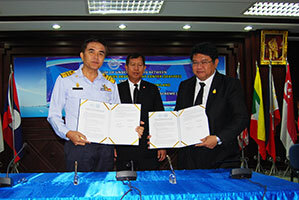 On 27 December 2016 at the SEAFDEC Training Department (TD) premises in Samut Prakan, Thailand, SEAFDEC by the Secretary-General Dr. Kom Silapajarn signed an MOU with Fish Market Organization (FMO) of Thailand for collaboration on development and promotion of electronic system of the ASEAN Catch Documentation Scheme (e-ACDS). 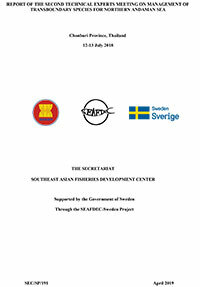 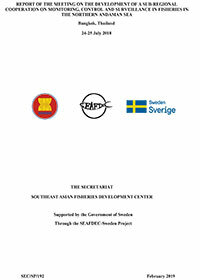 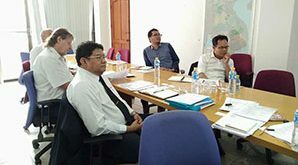 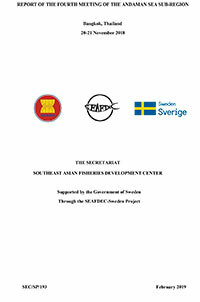 During the 48th Meeting of the SEAFDEC Council in 2016, the SEAFDEC Council endorsed the plan to pilot test the ASEAN Catch Documentation Scheme for Marine Capture Fisheries or ACDS initially in Brunei Darussalam, and SEAFDEC has been developing an e-ACDS as well as paper-based ACDS that could be applied by countries in the region with a view of combating IUU fishing and enhancing traceability of fish and fishery products from the region. 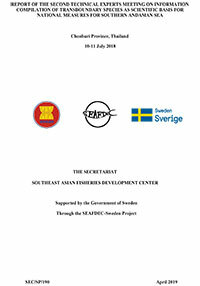 Considering that the Fish Market Organization has already put in place an e-system of Marine Catch Purchasing Document (MCPD) for catches landed at ports under the operation of the FMO, it is therefore anticipated that such e-MCPD applied by FMO could provide a practical basis for development of e-ACDS for pilot testing in SEAFDEC Member Countries. 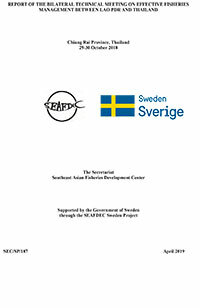 Furthermore, considering that FMO has also gathered landing data throughout the past years, it is expected that under this MOU SEAFDEC could make use of such data for stock assessment of several species that are economically important for the region that could lead to more sustainable utilization of the resources.